Emily Jane Bronte was a British novelist and poet, now best remembered for her only novel Wuthering Heights, a classic of English literature. Emily was the second eldest of the three surviving Bronte sisters, being younger than Charlotte Bronte and older than Anne Bronte. She published under the masculine pen name Ellis Bell. Emily was born in Thornton, near Bradford in Yorkshire to Patrick Bronte and Maria Branwell. She was the younger sister of Charlotte Bronte and the fifth of six children. In 1824, the family moved to Haworth, where Emily's father was perpetual curate, and it was in these surroundings that their literary oddities flourished. In childhood, after the death of their mother, the three sisters and their brother Patrick Branwell Bronte created imaginary lands (Angria, Gondal, Gaaldine, Oceania), which were featured in stories they wrote. Little of Emily's work from this period survived, except for poems spoken by characters (The Brontes' Web of Childhood, Fannie Ratchford, 1941).
" 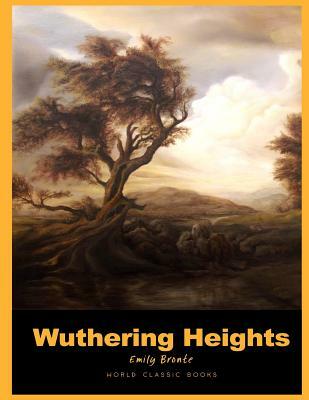 Do you think Heathcliff loved Hareton, even though he said he didn't? Heathcliff used Hareton for his revenge, but I can't help but feel like Heathcliffe loved Hareton despite not wanting too (or maybe he loved him as much as someone like him could love the son of his sworn enemy). Not to mention that Hareton loved Heathcliff like a father and Hareton's love couldn't have come up out of nowhere. " " Can anyone understand Joseph's old Yorkshire dialect? Perhaps the book would have been better with him dictating the story to Lockwood? "